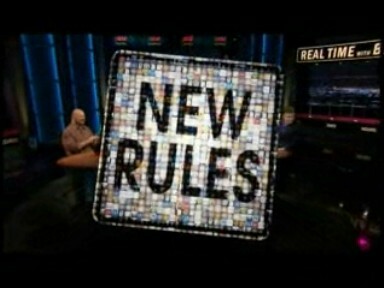 With all their new rules you’d think Bill Maher was the new commissioner of the NFL… don’t get that joke? Either I am the Dennis Miller of gaming commentary and online personas or I am just old and lame. I am starting to think that Madden has hit that slope as well. Seeing that the draft is coming up and the NFL is as popular as ever it seems like they would be pushing more and more to make their monopoly on football video games a more true representation of the game on the field and on television. Then again, maybe they are when it comes to all the rule changes that seemingly gut the NFL of any sort of toughness under the guise of ‘player safety’. In Madden it is nearly impossible to injure a player by hitting them harder (which is basically 80% of the injuries in the league). In Madden your players can’t get unsportsmanlike conduct penalties because that type of thing isn’t in the game either. So, the new rule of two penalties for being an arrogant taunting jerk with a big mouth has no place in Madden to begin with. This is why I constantly wonder when the madness will stop. When will 2K or another publisher pour in the resources to give football fans and football gamers a different option from Madden? I have been on this journey for over a decade demanding a true competitor to Madden and the football gaming monopoly. I am starting to wonder if I’m alone out here on the digital gridiron. Everyone else seems happy to play two-hand touch on Madden and I am stuck wondering why I waste so much time playing a Franchise Mode for the sake of having a ‘new’ football option every year. This might be why I am looking forward to MLB 16 more and more. At least SCEA goes above and beyond to truly add depth to their game every year. Madden has seen their top guys leave over the course of the last few years and with that they haven’t grown or done anything new. They have invested in Ultimate Team because gamers seem to have more money than they know what to do with. So in many respects, if you are playing Ultimate Team you are part of the problem as well. I’d say this goes for Diamond Dynasty players on MLB, but now that SCEA has made it so you earn packs as you play the game rather than simply giving the option to buy more (which you can also do)… maybe they are similar afterall. 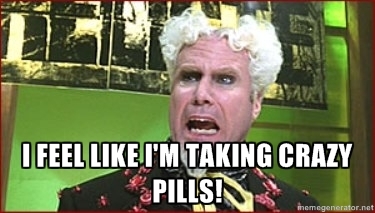 Maybe I am just like Mugatu and I have taken crazy pills somewhere along the way.